A Russian exoskeleton starts clinical trials in the U.S.
ExoAtlet has already opened an office in South Korea, and in the second half of 2018 it plans to expand to other Asian countries and the U.S.
ExoAtlet, a medical exoskeleton created by developers in Moscow for the rehabilitation of patients with lower limb motor impairments, will be introduced in the U.S., Japan and China. The Russian startup raised $5 million from South Korea's Cosmo Co Ltd. to fund international expansion. The bionic enhancement market, along with AI and blockchain, are the next big thing: the robotic exoskeleton market is expected to reach $4.65 billion by 2026. 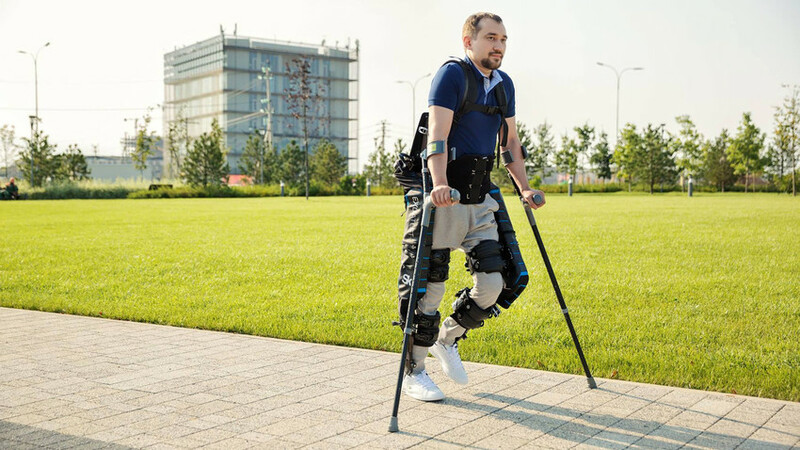 U.S.-based companies such as Ekso Bionics, HAL Cyberdyne, ReWalk, and Indego already offer exoskeletons that help people with spinal injuries to walk. Developers at Moscow-based ExoAtlet, however, believe their creation offers patients an advantage over the competition. The company already opened an office in South Korea, and in the second half of 2018 it plans to expand to other Asian countries and the U.S.
“Our technical solutions allow the patient to walk in an exoskeleton as close as possible to an ordinary person, which is very important for restoring one's natural ability,” ExoAtlet co-founder Ekaterina Bereziy told Russia Beyond. ExoAtlet's team has developed new methods of rehabilitation for patients following a spinal cord injury, stroke and multiple sclerosis. The company so far has had a positive experience in South Korea, and after receiving certification in May a total eight exoskeletons were sold in just one month. In the second half of 2018, the startup will open offices in Japan and China, and will sell exoskeletons in Singapore, Malaysia, Thailand and Vietnam. According to Joe Young, CEO of ExoAtlet Asia, the Asian market will see rapid development in rehabilitation robotics in the coming decade. “We plan to sell exoskeletons to clinics and individuals,” Yong said. In the U.S., the Russian startup plans to open an office in Washington D.C. and will start clinical trials in local hospitals. ExoAtlet is partnering with MedStars, specializing in developing disruptive life sciences companies. When clinical trials are completed ExoAtlet will apply for FDA certification. That process, however, might take as much as two years, but after FDA approval the Russian exoskeleton will go on sale in the U.S. The company said it must still do market research to determine the price. The exoskeleton developers are hoping that FDA approval will also open access to other markets, such as Latin America. The origins of ExoAtlet date to 2011 when it was launched and financed by Russia's Emergency Situations Ministry to help rescue people in fires, as well as for moving heavy loads. The first versions made it possible for an ordinary person to lift up to 200 kilograms. In 2013, the team decided to start development of a medical exoskeleton.